Have you truly ever let this verse sink into your heart? What does this mean? “He will give you the desires of your heart?” What about all the other verses that tell us that the heart is deceitful and cannot be trusted. What desires? My desires or God’s desires for me? This verse is the foundation of my personal story. Getting pregnant and having children is the American dream for most couples. At the church I formerly attended most families have children. Many couples had large families and the children and youth departments were overflowing with children at that time. However, it is one of the things that causes heart wrenching pain when you are infertile. I am a counselor by trade and dreamed of having a large practice while have 3 children and living the American dream. When my doctor told me that there were issues with me getting pregnant, and maintaining a pregnancy, I was disheartened. I had already had one ectopic pregnancy. I was devastated. I was angry at God. I began to search through the archives of my memory for verses to claim and promises to stand upon and I kept repeating “He will give you the desires of your heart.” I claimed and believed and hoped. I went to Liberty University to complete my graduate degree in counseling and met someone who taught me the meaning of this verse. 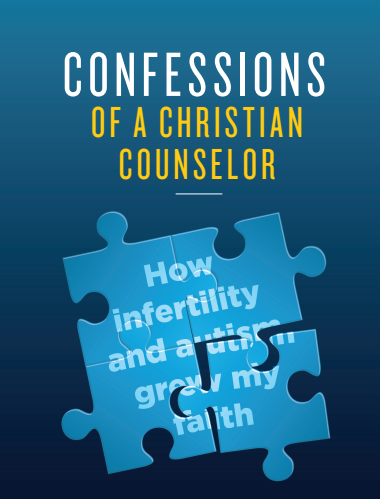 He went on to tell me his story that he and his wife had been trying for years to have a child and his wife had multiple miscarriages and he stood on the promise of Psalm 37:4. I sarcastically said I was glad that “worked for him.” He asked me what I meant. Woah! So simple, yet I missed it. I took this challenge and changed my whole attitude and way of thinking. Well, for those of you who need closure to a story as I do. I began January 1998 with a new focus- to delight in the Lord and trust in His promises. February 1998 to the doctor’s shock I was pregnant with my first daughter. My oldest daughter was born in October of 1998!